Hanoi (VNS/VNA) - Indonesia’s PT. Intra Asia Corpora has signed a memorandum of understanding (MoU) with Vietnam’s Hong Phat Coal and Resources Company to build a coal port in southern Vietnam. 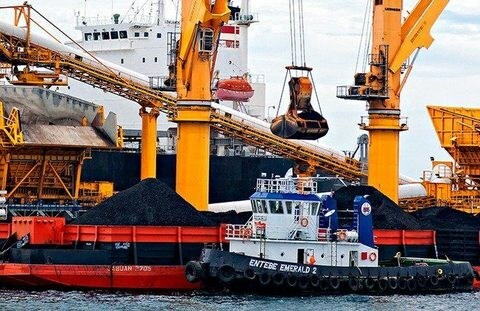 “The port will especially be used for cargo and logistics that will serve exports and imports between Indonesia and Vietnam, particularly coal,” Intra Asia Indonesia commissioner Lutfi Ismail said on the jakartapost.com. The port, worth 1 billion USD, is designed to have a capacity of 15-20 million tonnes of coal per year and will help cut logistics costs for importing coal from Indonesia. Hence, it will facilitate the sustainable development of coal exports from Indonesia to Vietnam and supply fuel to coal power plants in Vietnam. Indonesia’s Central Statistics Agency recorded that trade between Indonesia and Vietnam reached 6.3 billion USD last year, while Indonesia suffered a 182.9 million USD deficit.